These monster cookie bars are a family favorite. This time I made them with red, white, and blue M&M’s for a 4th of July picnic we are going to. Aren’t they festive? And, they taste great too! 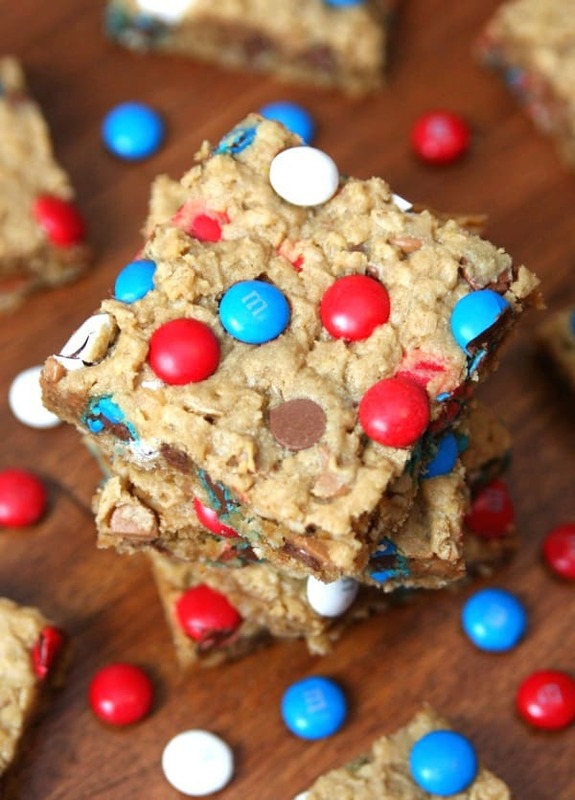 This yummy recipe includes peanut butter, M&M’s, chocolate chips, peanut butter chips and oats. You just can’t go wrong with that combination. And is it bad that I feel like they’re somewhat healthy because they include oats? 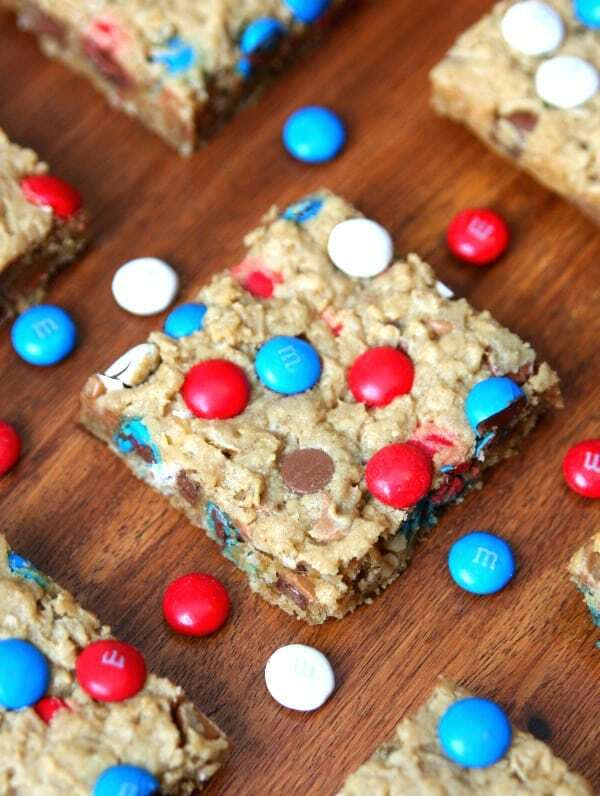 We LOVE these Monster Cookie Bars and this time I used red, white, and blue M&M’s in honor of the Fourth of July. I kind of wish they had these M&M’s available all year long because I love how they make my desserts look. And have I mentioned recently how much I prefer making cookie bars over cookies? It’s so much easier to just dump the batter into a pan. It takes less than 10 minutes to make the batter and only 15 minutes to bake these delicious bars. These bars are soft, moist, and full of chocolatey, peanut butter goodness! Pour a glass of milk and you have the perfect sweet treat to enjoy. Go ahead – you can have more than one. I won’t tell anyone. Preheat oven to 350 degrees. Spray a 9×13 pan with cooking spray and set aside. In a large bowl, cream together butter and brown sugar. Add peanut butter, eggs, and vanilla. Continue to mix with electric mixer. In small bowl, stir together flour, baking soda, and salt. Gradually add flour mixture to large bowl and continue to mix until well combined. Stir in oats, chocolate chips, peanut butter chips, and M&M’s. Spread batter into greased pan. Add additional M&M’s to top, if desired. Bake for 15 minutes or until edges are slightly brown. Let cool before slicing. Are you heading to a 4th of July cookout? 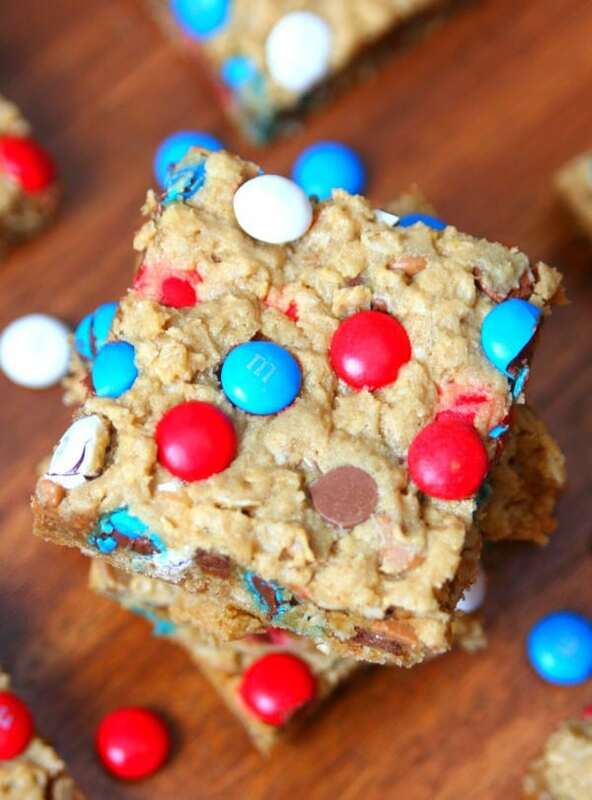 Then you need to make these Patriotic Monster Cookie Bars. And you might want to make two batches. One for the cookout and one to keep at your house for yourself. 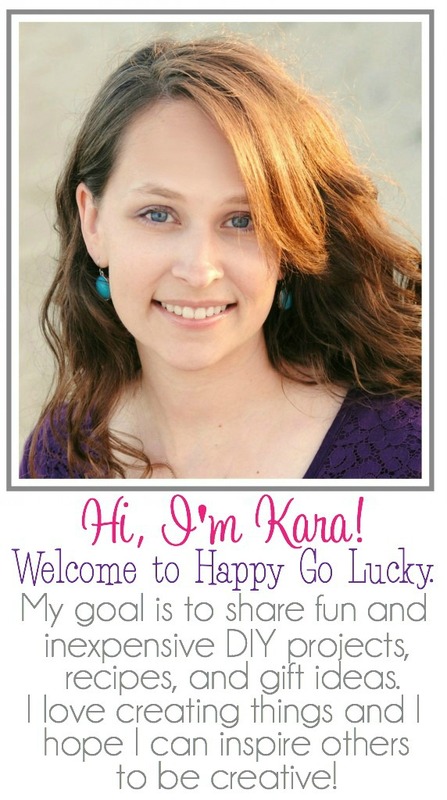 I hope everyone has a fantastic 4th of July weekend!